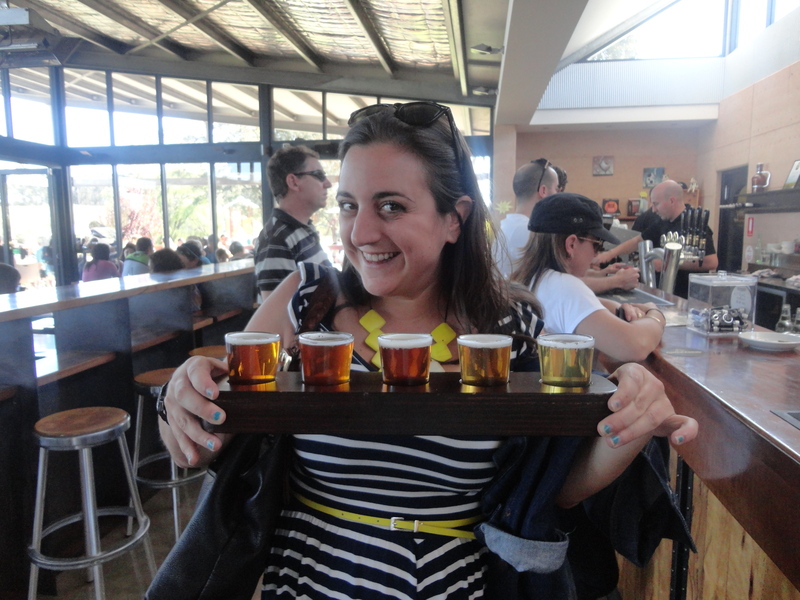 Where the beer flows like wine: Margaret River – These Two Eyes! Take a big whiff. Stick your nose in the glass, hold it by your fingertips and inhale slowly. Using your wrist, twirl the glass around in circles. Take another whiff. Smell different? Ah, the art of wine tasting. Yes, the likes of France, Italy, California, and Chile all have their appeal but to Australians why would they bother trying such foreign wines when some of the best of the best is in their very own backyard. I’m lucky that in my short time here (a year and a half already, sheesh) I’ve sampled some fine Shiraz in the Barossa Valley, Semillon in the Hunter Valley, Chardonnays and Pinot Noirs in the Yarra Valley and finally, the Cabernet’s and Sauvignon Blanc’s of Margaret River – with a few others in between of course. It almost seems like no matter where you are in Australia, you’re bound to stumble upon some damn fine wine. 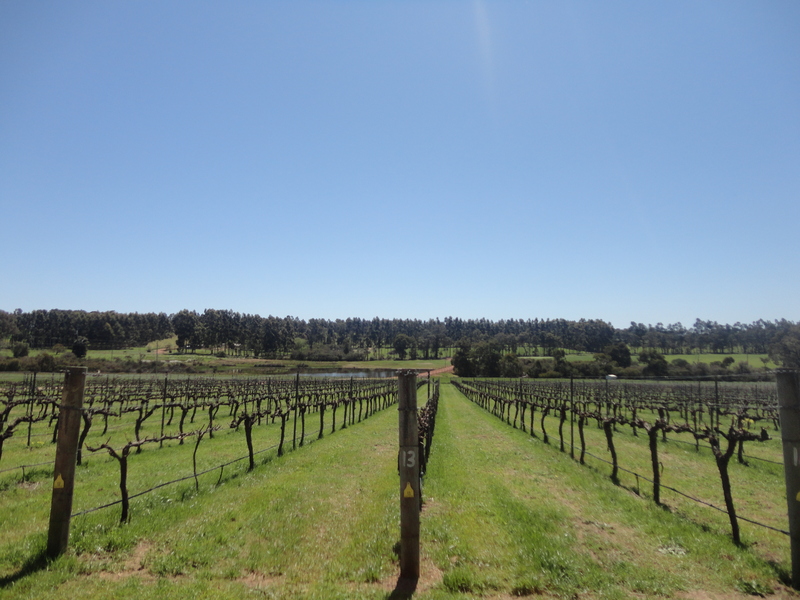 Lucky for me just 3.5 hours drive south of Perth, Western Australia resides the small wine region of Margaret River. A friend from Brisbane was also in Perth the same weekend so it was a no brainer to rent a car for a full fledge road trip to indulge in another yet to be undertaken wine region. As with everything I’d experienced outside of the city of Perth in WA, the landscape traveling south was barren. Flat farmland stretched for miles with mom and pop service stations scant. Running out of petrol (aka gas) was not an option. Music pumped, windows down with the sun setting over striking vineyards we approached the endearing town of Margaret River. 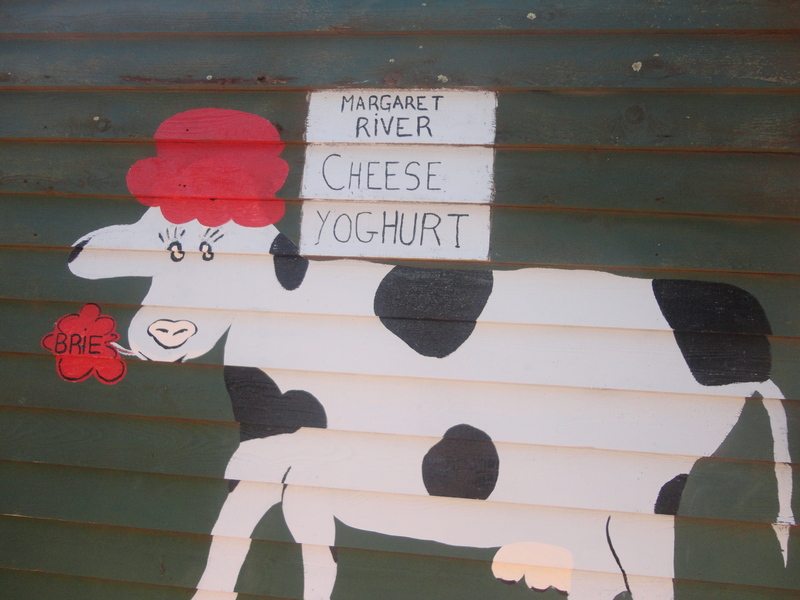 Interestingly enough, Margaret River is the name of the region, river, and town. And a beautiful region that is, with hiking trails, beautiful beaches and world renowned surf breaks, endless vineyards and more or less one main drag in the center of it all, Bussell Highway. This small and quiet town is consistently invaded by pinky finger sipping tourists and grape picking backpackers. And at the heart of it after a full day of exploring is the main pub in town, Settlers Tavern, as they quote “the kind of pub every wine region should have”. Lucky for us arriving at about 7:30 pm on a Saturday, coinciding with the AFL (Australia Football League) Grand Final with the Sydney Swans taking the reins, it was off to the Settlers Tavern for some good old fashion pub grub and a taste of some local beer, specifically the quite mild yet delicious Margaret River Pale Ale on tap. 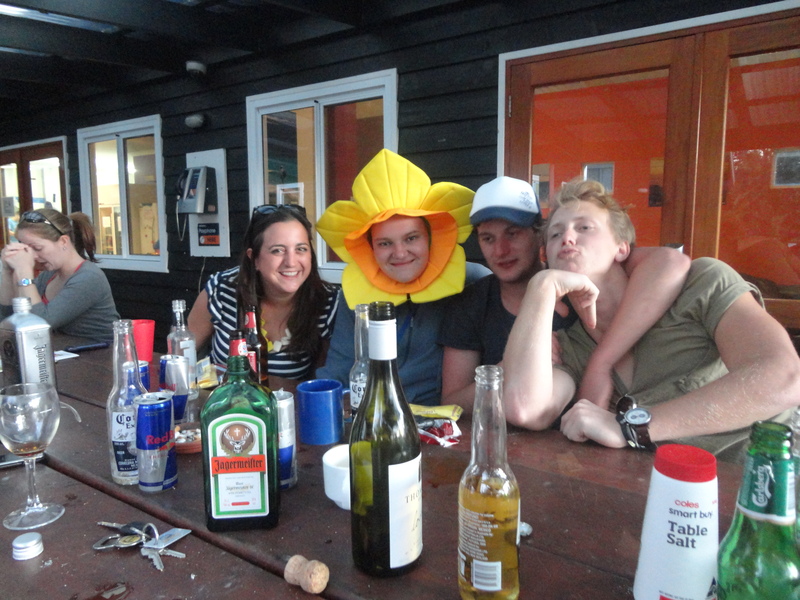 The townies were a bit too celebratory so it was back to the hostel where I befriended Hazel from Wales, the boys from northern England who coined me “Alabama” because they couldn’t remember where in America I was from (a first) and a few other locals before eventually making my way back to where all things end, the Settlers Tavern again just a few hours later to rock out to Zarm, a fantastic live Rastafarian band who were as good as Bob Marley himself. 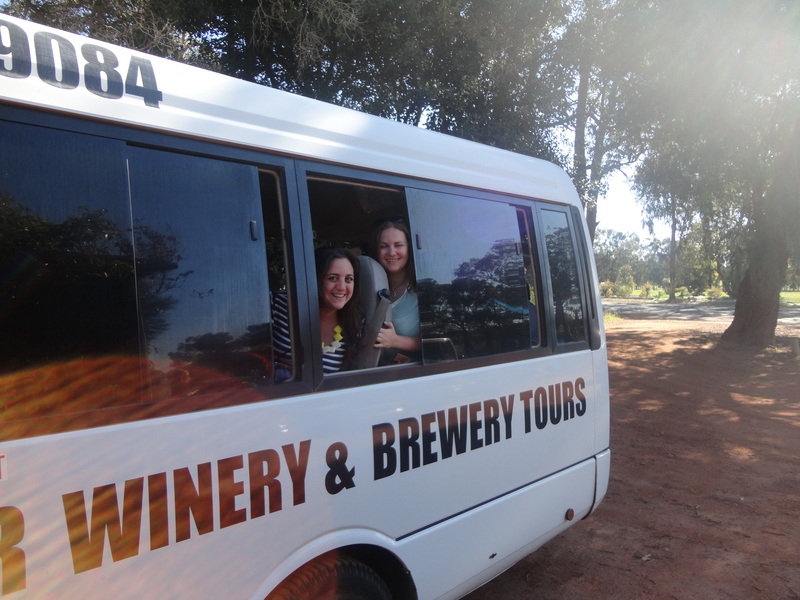 After a very late night it was an early rise to meet Bushtucker Wine Tours to indulge in what we came here for, to taste the fabulous wines of Margaret River. A small group of about 15, it was nice to actually join a tour that was in the vicinity to where we were staying, as opposed to on my excursions having to travel outside of a city, into the country etc. Getting back without having to pee is always a struggle, but thank goodness for Margaret River’s locality, wooh. We approached our first vineyard at about 11 am. I found the tasting very rushed and detached. Being that it was a holiday weekend (strangely it was the Queen’s birthday but not really they just moved it to this Monday randomly) it was quite busy in the area and I felt we were hurried in and out. With that, none of the wines particularly stood out for me, although others on the tour disagreed, so I had my samples and moved on. 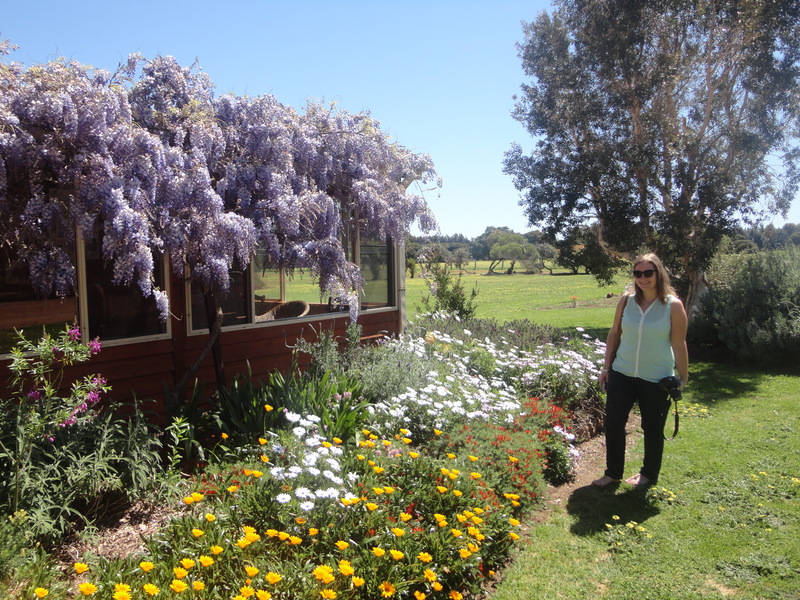 The property however was beautiful, with bright flowers, endless fields of vines and farm animals roaming. Before traveling on our guide did something that made me very unhappy at the time. She asked everyone to get on the bus and to sit next to someone they don’t know, introduce yourself, and have a chat until we got to the next place. I was not interested in playing this game one bit, so I sat in the row with the single seat hoping it would save me while I heard my friend Louise chiming away a few rows behind me. In the end I spoke to my neighbor Caitlin, who coincidentally is also from Brisbane and was traveling by herself. Darnist thing, now she’s our friend and we’re organizing dinner parties and making introductions to our groups of friends back in town. We started the tasting with a sweet yet soft sip of the bubbles. Hmmm, yes I can dig this. Normally I don’t purchase the bubbles but with summer nearly here I envisioned myself sitting in the local park with a glass of these bubbles soaking up the rays with some friends and so I forked over the $30 for a bottle to live out my new fantasy. I was also a strong fan of the Shiraz Cabernet 2010 but at the time only wanted to commit to one, so the bubbles it was. Unfortunately however I found the staff very rude. While trying to decide, Shiraz/Cab verses bubbles, shiraz/cab verses bubbles, shiraz/cab verses bubbles I was hoping to gain a bit more information about the wines, as I also was purchasing a SSB (Semillon Sauvignon Blanc) for the colleague who’s house I stayed at the week prior, and just found this one staff member’s demeanor downright snooty and unappreciative of my business. In the end I still bought the wines, because they were mighty tasty, however I strongly feel it can’t go unsaid. But then it was lunch time, wahoo! Sitting out on the veranda looking out over the vineyard I sipped the purchased glass of the aforementioned Shiraz/Cabernet Sauvignon 2010 since it wasn’t coming home with me and indulged in delights such as smoked crocodile, fresh pumpkin bread, and locally crafted chutneys and spreads. It was a bit unique offering of cold tapas but in the end was very satisfying and a great intense mixture of flavors. Then the fun really began. 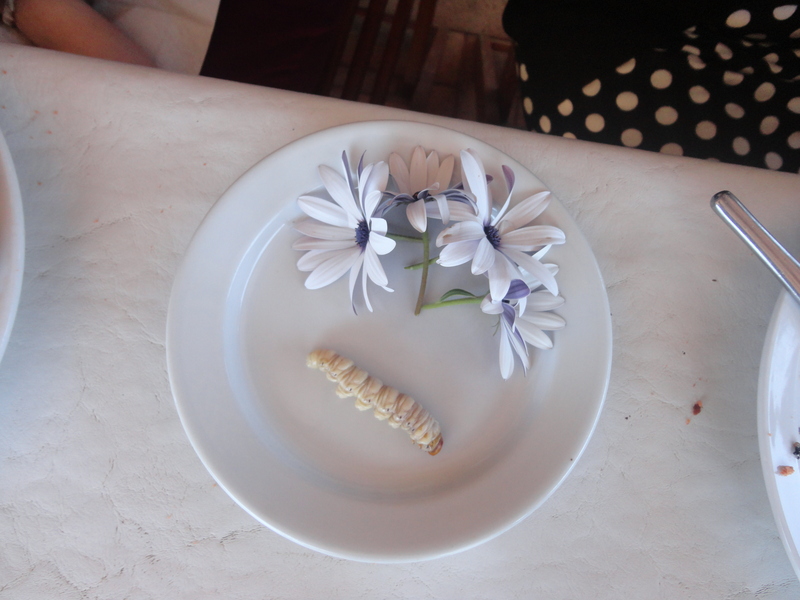 Our guide offered up the witchetty grub to the group. Say what? Yes, it’s a bug or technically moth larvae and is a traditional provision for Aboriginals. The first person who raised their hand got to choose the head or the tail since it was going to be consumed after being cut in half. Immediately Louise’s hand jumped up, and we looked around the table and realized she was the only one who volunteered to eat the thing. The seconds ticked by as I contemplated if I should take one for the team with my friend, but then just before I braved it another girl in the group jumped in and ate the bit with the head. When asked what it tasted like Louise told us “it’s crunchy but soft inside, tastes like a macadamia nut.” I guess I’ll never know. In terms of atmosphere and fun this winery took the cake. It might have been because we’ve already sampled two other wineries, had lunch and therefore I’ve shaken my hangover and sour mood but the overall reason was the hostess. She was fun, educational and gave everyone a laugh and a smile. We tried everything from the lower range all the way to the private bin labels. And although in the balmy weather we ended the tasting with a zesty sampling of mulled wine, I walked out of there with a packet so get ready for a Christmas special recipe! Yay, beer break. Cowaramup is another town just a few kilometers outside of Margaret River off of Bussell Highway. If you can’t remember the name, just call it cowabunga like I did. For $14.50 you can get a taster of all the beers on tap, which of course is what we did, and then enjoyed the sun in the green pasture out back where we chatted to some other people on the tour who live in a remote area of Western Australia up near Broome. Nowhere zone. I could have sat there for hours, taking in the rays, sipping deliciousness from light to dark, enjoying life. But then we had to move on. I LOVE cheese! Cheese, cheese, cheese. This cute little dairy complex had a just enough room to squeeze us in, sample a few, and my golly the feta and brie were fabulous, make a purchase and head out the door. While Louise scored us some deliciousness to divulge later, I wandered around the property snapping photos. It was a quick stop off, and then we were on our way. Whew, this is a lot of stuff isn’t it? I wasn’t event tempted by the chocolate at this stage. Well, that’s not true, this was probably the busiest place we ventured to all day, as all tours stop here. The chocolate warehouse was huge and had chocolates in all shapes, sizes, flavors etc. There was popcorn and ice-cream and it was a bit like heaven I would imagine. I just found my way to the free samples, which is very generous because you can scoop out the serves yourself, and then was ready to move on to the final stop off. The owner of this last winery, a cardiologist, spoke to us all about the family business. I sipped, and swirled and chatted away as I realized this was my last chance to make a purchase. Their wines consisted of the Thompson Estate Range and the Locum Range, which is the cheaper of two. Interestingly enough, at times I enjoyed the Locum Range better than the more expensive so I walked out of there with a crisp bottle of 2011 Chardonnay, a new variety favorite of mine, to compliment the cheeses we just purchased for an afternoon snack. We returned to Margaret River Backpackers around 5 and as the weather was fantastic that day we found all of our new friends from the previous evening hanging out back on the porch. Louise and I glowing from our wine tasting saddled up to the table to savor the cheese and wine and tell stories from the day. We found our way back to Settler’s Tavern that evening for dinner and then mingled the night away. 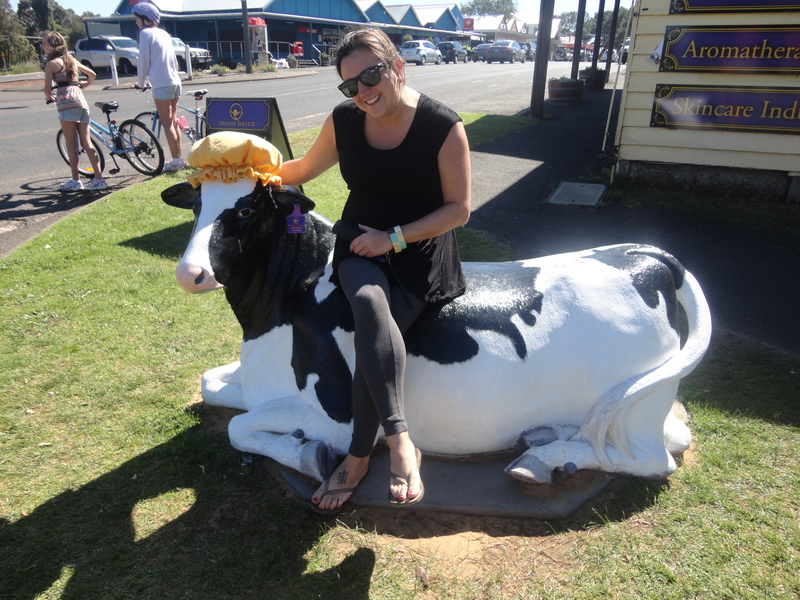 On the drive back to Perth the next morning we took our time on Bussell Highway, having breakfast in “cowabunga” where cow statues line the road before stopping off in Busselton to walk the longest jetty in the southern hemisphere. Families were fishing off the jetty enjoying the Monday holiday in the sun. As we casually made our way closer to the city we realized we made the unforgiving mistake when the gas light ticked on and we needed to find a servo (gas station) fast. Luckily we did, but the stress got tenser as the clocked ticked on, the traffic backed up, and my flight back to Brisbane inched closer and closer. Luckily for me, Louise’s skilled driving dropped me at the Perth Airport a mere 10 minutes before the flight departed, some charming skills convinced the ticket agents to print a boarding pass even though the flight was closed and I rushed through the gates after getting picked on for the bomb swat test, every time! And only to find the flight delayed an hour. Whew. I swear though, walking the longest jetty in the southern hemisphere, 1.8 kilometers across Geographe Bay, sure was worth it. It sure does, thanks for reading Ian.